Prof. Dr. S.B. Mujumdar established Symbiosis in 1971 on the principles of Vedic thought of 'World as One Family' and is resplendent of the activities and students of several countries. SIU has established need based institutes across the 7 faculties of Law, Management, Computer Studies, Health & Biomedical Sciences, Media, Communication & Design, Humanities & Social Sciences and Engineering. The University offers 109 programmes at Diploma, Under/post graduate and Doctoral levels. 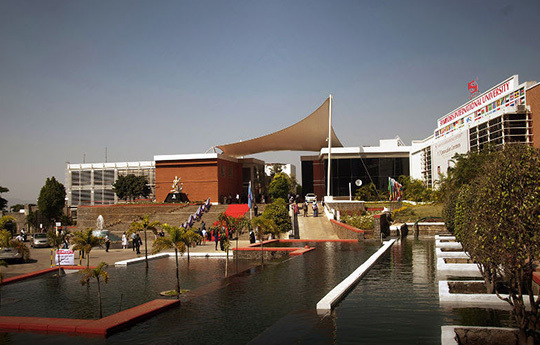 The University has 31 Institutes spread across campuses located in Pune, Nasik, Bengaluru, Noida and Hyderabad. A vibrant, Multi – ethnic, Multi - cultural environment, smart classrooms all positively impact the delivery of world class education. Student and Faculty diversity, service learning projects, internships and value added activities lead to a more holistic development of students. With collaborative networks with several universities from different parts of the world, SIU provides a very conducive, interactive and inspiring environment to create true global citizens. The University aims to participate in the task of inculcating knowledge and hone skills which are vital to the students who pass out from the University. SIU continues to grow.... Evolving by benchmarking itself against the best in the world.